JOINTSAVER is a permanent joint filler system that instantly replaces the traditional joint fillers used in concrete floor and slab joint gaps. The system is designed for filling the joint gaps of formed internal and external joints with both armored and non-armored arrises. JOINTSAVER is placed on the joint gap under compression and it pushes at the side of the joint gap. Therefore, as the gap widens, the compressed JOINTSAVER will expand to remain in contact with the sides, thereby permanently filling the joint gap. JOINTSAVER comes in several types and sizes, and it can be used for joint gaps from 10 mm up to 40 mm wide, whether they be formed concrete slabs, formed steel armored joints, internal or external joints, or even architecturally decorative joints. JOINTSAVER is suitable for applications such as internal and external free-movement joints, cold store joints, seismic joints, concrete arris repairs and decorative applications. JOINTSAVER provides easy and fast installation, excellent chemical resistance and the ability to immediately accept traffic after installation. The special compressible closed-cell foam center strip is fire retardant and has high regenerative properties and excellent resistance to most contaminants usually found on floors, such as oils, acids and UV light. 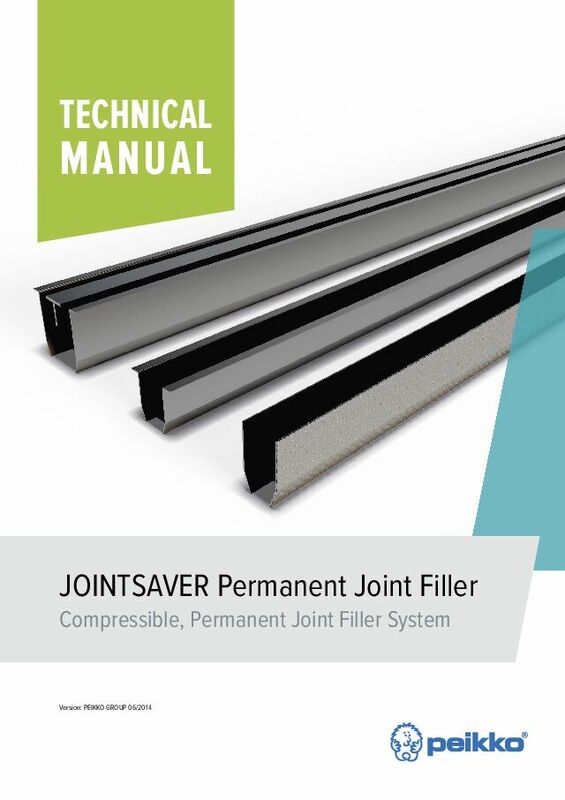 JOINTSAVER Standard is suitable for joint gaps from 10 mm up to 24 mm wide. It is ideal for use on good quality internal floor joints and it can also be used externally but not suited to rounded edge joint arris’s. This product is suitable for foot traffic, as well as pallet trucks and hard wheeled fork lift trucks. 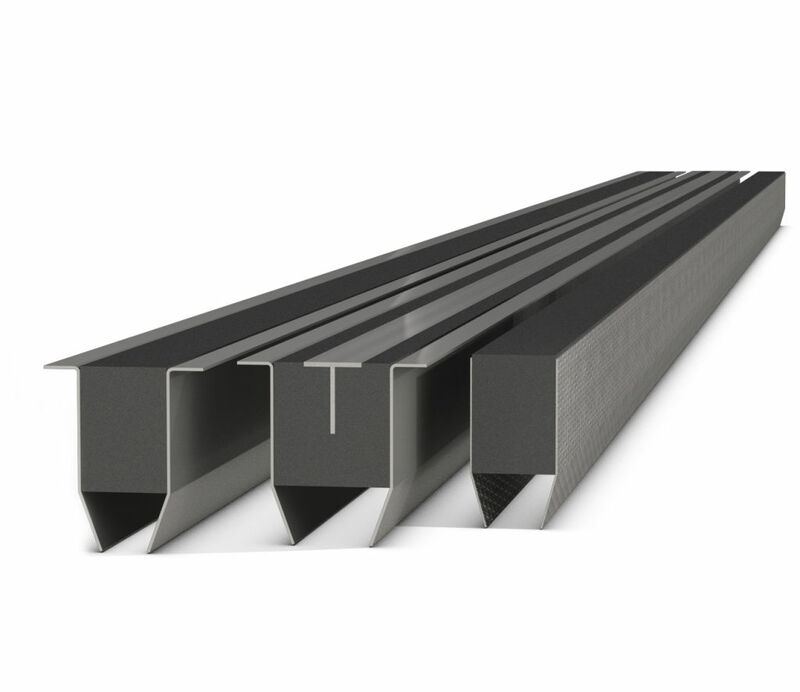 JOINTSAVER Extra Wide is suitable for joint gaps from 22 mm up to 41 mm wide and it can be used in the same applications as the Joint Saver Standard. Extra wide particularly ideal for use on high traffic pedestrian walkways in Airports and Shopping Malls. The product has a pleasing aesthetical appearance, with its 3 parallel metal strips, and it will accept small wheeled traffic such as suitcases and shopping trolleys. JOINTSAVER Gripper can be used on joint gaps from 10 mm up to 41 mm wide. It is ideally suited for joints where steel armouring of the arris is present, or the arris’s edges are rounded. Gripper is also suitable for areas where traversing loads might be dragged across the joint, including doorways, at the top of ramps.